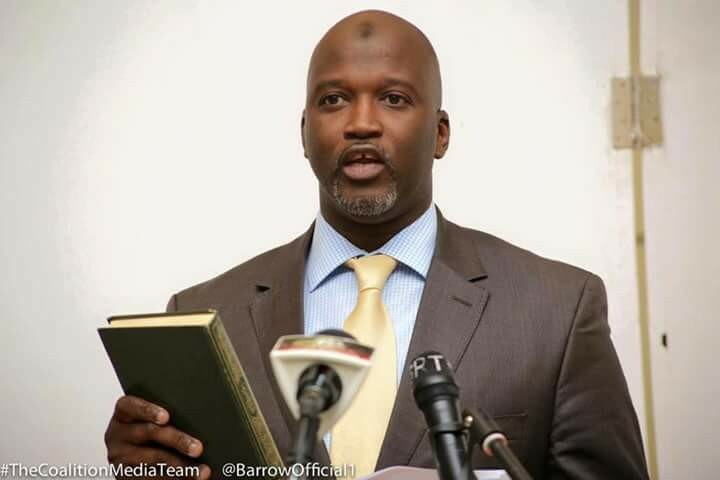 The Attorney General and Minister of Justice, Abubacarr Tambadou has said that he has advised President Barrow to withhold his assent to the bill relating to the amendment of the constitutional provisions. This was contained in a statement read by Minister Tambadou on State TV Tuesday evening, March 7, 2017. I am here today to clarify a matter of general public importance. You will recall that the government presented two bills to the National Assembly on 28 February 2017: one bill on electoral law seeking to reduce the monetary deposits payable by potential contestants in elections for public office in the country; and the second bill was in respect of amending provisions of the 1997 constitution relating to the upper age limit for judges of the superior courts and for the President of the republic. As the Chief Legal Advisor to the government, I have now advised His Excellency The President to withhold his assent to the bill relating to the amendment of the constitutional provisions. The reason for this advice is because I am of the opinion that the procedure adopted at the National Assembly to amend these constitutional provisions was misconceived. The process of amendment of the constitutional provisions should have been guided by Section 226 of the Constitution instead of Section 101 which was the procedure used at the National Assembly. Therefore, on this occasion, and being responsible for tabling the constitution amendment bill before the National Assembly, the Ministry of Justice failed to properly guide this process. As Attorney General and Minister of Justice, I take full responsibility for this error. Steps are now being taken so that this will be remedied at the earliest opportunity. Appropriate action will also be taken to ensure that such a situation does not occur again in the future. This latest act by the government demonstrates that this is indeed a new era of openness and accountability, an era of honest government that is responsive to the concerns of its citizens. While there cannot be universal agreement on the interpretation of the law all the time, the Ministry of Justice will always act in the best interest of the country and in ways that will only strengthen respect for the rule of law. This situation also underscores the need to conduct an urgent and comprehensive review of the 1997 constitution in order to ensure, among other things, a clear and consistent interpretation and application of its provisions. In this regard, I welcome the constructive engagement of the generality of Gambians on this matter. It is refreshing to see that a great number of people have taken to the constitution of late and are scrutinizing every government action to ensure compliance with its provisions. It is a positive and welcome development in our new democracy. It is a healthy practice which I hope will become a habit in our country. Allow me to add, however, that as we seek to rebuild this country after 22 years of dictatorship which has crippled every sector of life particularly the legal sector, we must also accept the reality that this government has inherited governance support structures that were designed, over the past two decades, to entrench that dictatorship. Reform of these structures will not occur overnight or automatically simply because a new government is in place. We continue to depend on these existing governance structures while appropriate reforms are being initiated, and in so far as the Ministry of Justice is concerned, this will be done in a gradual and steady manner so as to avoid a further crippling of the very fragile support structures that we have to rely on in this reform process. It is a very delicate balancing act but one that is unavoidable and necessary. Meanwhile, I continue to urge that you exercise patience and understanding as there will be other challenges and setbacks as this government seeks to rebuild institutions based on a solid foundation of respect for the rule of law and democracy.